Farhan Akhtar Writes Powerful Open Letter On Hrithik Roshan-Kangana Ranaut Controversy! As we all know, Hrithik Roshan and Kangana Ranaut’s public spat is taking the drastic twist and turns with each passing day. Kangana Ranaut gave many explosive interviews to several media outlets in which she demanded a public apology from Hrithik, while the latter chose to stay silent and refrained from commenting anything. Just recently, Hrithik Roshan issued a statement and broke the much-needed silence on his controversy with Kangana Ranaut. The actor spoke his heart out like never before for the first time in four years. 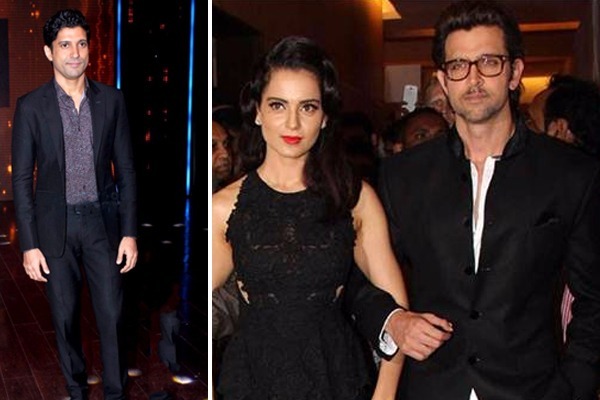 Well, amid all these, many celebrities from the industry supported Hrithik while many supported Kangana. The latest celebrity to voice his opinion on the topic is actor-director Farhan Akhtar. Farhan penned down an open letter and shared on his social media account in which he tried to validate the whole scenario and put forth his views. Previous : Padmavati Trailer Out: Ranveer Singh, Deepika Padukone & Shahid Kapoor’s Looks Will Leave You Spellbound! Next : Inside Pics: Samantha Ruth Prabhu And Naga Chaitanya’s Fairytale Wedding Is Awwdorable!